I started my Yoga journey a little later in life than most. What I needed was to find a new purpose in my life and a sense of peace and well being. During the last 5 years, because of my Yoga practice, I have grown physically stronger, mentally clearer and calmer while renewing my spiritual beliefs. Yoga has allowed me to look inward to myself to find the peace I had lost. I received my 200 hours teacher's training certificate at We Are Yoga in 2013. I've had the privilege of teaching cancer patients and caregivers yoga at Huntsman Cancer Hospital. I teach at Upstairs Yoga, the VA Hospital while subbing for classes at A Quality Life Community. 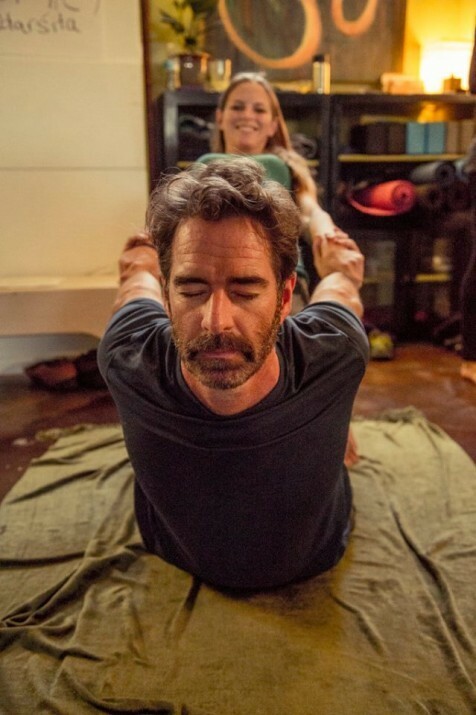 Currently, I'm focused on cultivating my mind body practice at Salt Lake City Fit Collective while I continue to share my passion and experience of Ariel Yoga with others.